Every now and then you run across a pair of earrings that are so unique that they call your name immediately. These beauties are just such a pair. These are such a fun way to add a pop of color to any outfit! 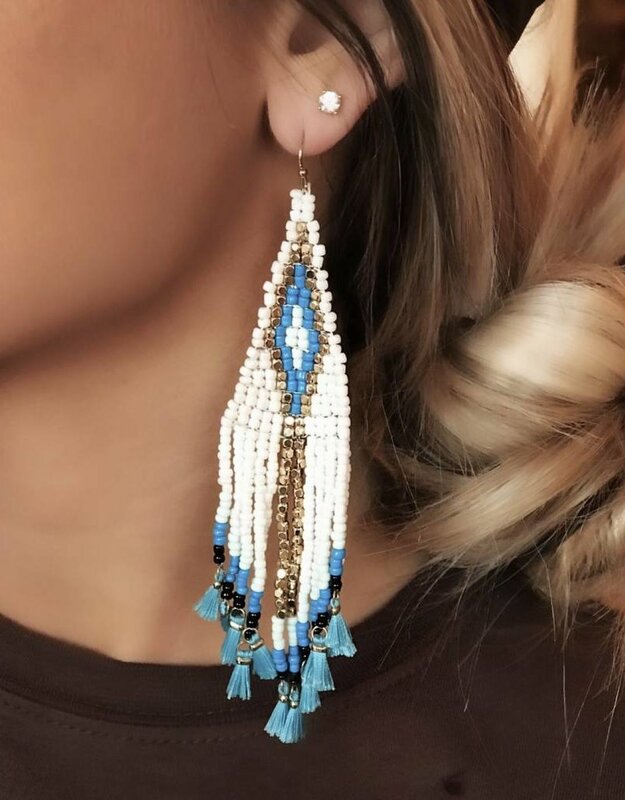 Earrings feature a gold, teal, & black tassel detail.